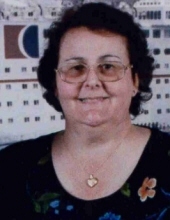 Carol L. Reich, 69, of Beatrice died in a Lincoln hospital on January 14, 2019. She was born March 7, 1949 at St. Louis, MO and graduated high school in Afton, MO. She married Walter Edmond on February 8, 1969 and they later divorced. She worked as a prep cook in restaurants for many years and was a Walmart employee for several years. She married Kevin Reich on September 23, 2017 in Lincoln. She attended Holy Cross Lutheran Church of Beatrice. She enjoyed bowling, doing crossword puzzles, reading and cooking. Survivors include her husband, Kevin Reich of Beatrice; two daughters, Sheila Sutton of Beatrice and Jodi (Carlton) Smith of Georgia; two sons, Paul Edmond of Odell and Keith (Brandi) Edmond of Ogallala; two step-daughters, Theresa Reich and her friend Chris Fraley of MO and Ellie Edmond of Wymore; step-son, John Edmond of Lincoln; 13 grandchildren; two great-grandchildren; her father, Marvin Martin; two sisters, Sue (John) Stark and Lisa (Kirk) Bailey; two brothers, Kevin Martin and Gregg Martin; many nieces and nephews. She was preceded in death by her mother, Mary Thornhill Martin and daughter, Melissa Edmond. Memorial services will be held at 2:00 P.M. on Wednesday, January 23, 2019 at Holy Cross Lutheran Church of Beatrice with Pastor Kathee Forrest officiating. A family prayer service will be held at 1:45 P.M. on Wednesday at the church. The body was cremated. There will be no viewing. A memorial has been established to the Diabetes Association. A guestbook for signatures will be available at Fox Funeral Home of Beatrice from 8:00 A.M. to 8:00 P.M. Tuesday, January 22, 2019 and at the church one hour preceding the services on Wednesday. www.foxfuneralhome.net Fox Funeral Home of Beatrice in charge of arrangements. To send flowers or a remembrance gift to the family of Carol L. Reich, please visit our Tribute Store. "Email Address" would like to share the life celebration of Carol L. Reich. Click on the "link" to go to share a favorite memory or leave a condolence message for the family.